Free-Spirited Flair Tees and Tanks Up to 55% Off! 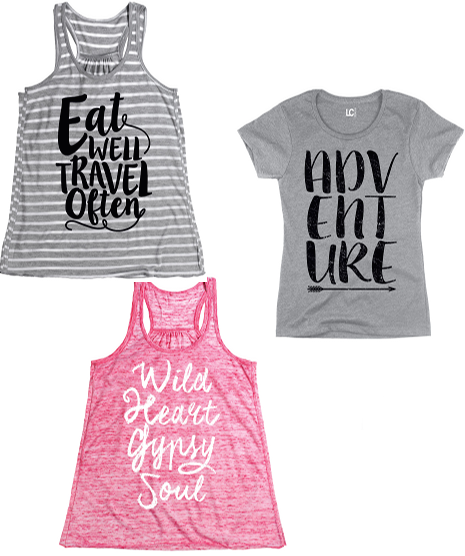 You are here: Home / Great Deals / Free-Spirited Flair Tees and Tanks Up to 55% Off! You’ve got a one-of-a-kind personality and a carefree sensibility, so why not wear it with pride? These Free-Spirited Flair Tees and Tanks are Up to 55% Off! Tees are $12.99 and tanks are $16.99. Full of artful graphics, these soft cotton-blend tees and easygoing tanks are ideal for a casual look!